Community Fitness Center – Vavrek Architects, Inc.
Construction is complete on Lobby and Lower Level Renovations to the Whiting Community Center. 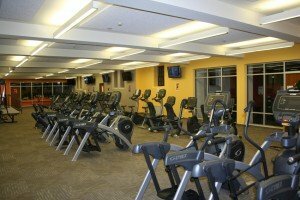 Fitness equipment and furniture are now in place in the new space that will be run by the Crossroads YMCA Whiting branch. A ribbon cutting ceremony was held on March 30th, as the Center officially opened its doors for the first time since closing for construction. 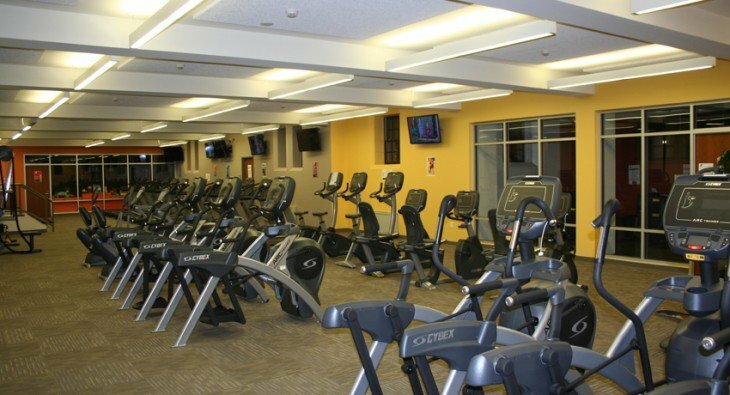 The project included the historic renovation of the lobby area and transformation of the lower level into a modern fitness environment.